I work in a library, and when a patron came in ranting and raving about Anne Perry committing a murder, I thought maybe she was confused. 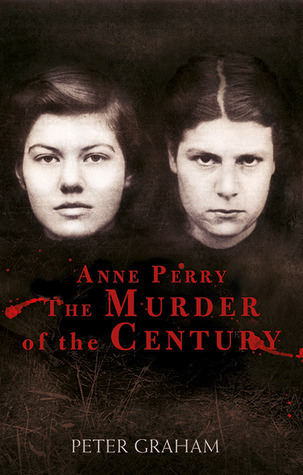 However, after I googled it, I discovered that Anne Perry had helped to commit a murder when she was just 15 years old. To learn more about this situation, I read the book Anne Perry and the Murder of the Century by Peter Graham. I must say that this story was fascinating. Back in the 1950s, Perry was known by her birth name Juliet Hulme. She and her friend Pauline had a bizarrely close relationship and together murdered Pauline’s mother. In this book, Graham did a great job at showing how their home lives and psychological issues might have contributed to what they did. He shows many factors that could have led to the murder and also discusses what happened to both women after they were let out of prison. Hulme served five years in prison because she was minor and then was reinvented as Anne Perry and became a wildly prolific author of murder mysteries. After learning more about the situation, I’m not sure if I’ll be able to read another Anne Perry book. I feel like I’d just be distracted by thinking of her life and wouldn’t be able to separate that from the fiction. What do you think? If one of your favorite authors committed a horrible crime, would you still be able to read his or her works? I’m very curious!